Yardley Legal Services P.C. has been providing experienced legal services in Pennsylvania and New Jersey for over 30 years. 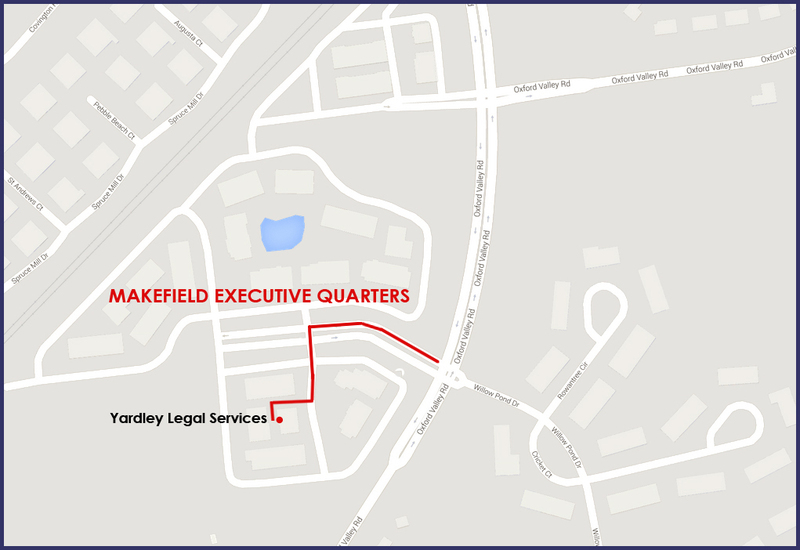 After 25 years in the Borough of Yardley, the firm, formerly known as Mead and Bane, is now conveniently located at 301 Oxford Valley Road, Suite 603B, Makefield Executive Quarters, in Lower Makefield Township, Yardley, PA 19067. Yardley Legal Services takes the mystery out of legal services. Many clients avoid using lawyers because they fear receiving an unexpected large bill. After your free initial consultation in our office, you will be given a written fee agreement outlining the services to be provided and the estimated fees and costs. You will not be charged for routine phone calls. Weekend and evening appointments can be arranged. If you are disabled, an appointment can be scheduled at your home or where you are being treated. To better serve our clients, the firm is now accepting divorce and other family law cases. You are our first and only priority. We are here to serve you.